Tanishq – jewelery retail unit of Titan Industries has set an ambitious goal to increase its sales by 50% to Rs 3,000 crore in the next financial year. To achieve this target, the company is expanding its retail presence by adding 7 more exclusive stores taking the total count to 110. Tanishq is coming under intense competition from Rajesh Exports [owner of leading brands such as shubh and laabh] as the latter had aggressively invested in R&D and has fantastic product offerings for the Indian consumer. 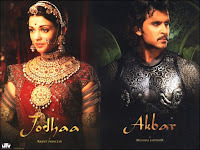 Tanishq, to set off competition has launched Jodhaa Akbar collection and managed to get lot of marketing hype. The collection is very pricey and suggested retail price is between Rs 25,000 to Rs 15 Lakhs. Buoyed by the successful launch of Reliance Jewels @ Jaynagar in Bangalore, Nita Ambani is working hard on a master plan to compete with Tanishq and Rajesh Exports.